We can help design your landscape exactly like you want it, even if you don’t know exactly what you want. 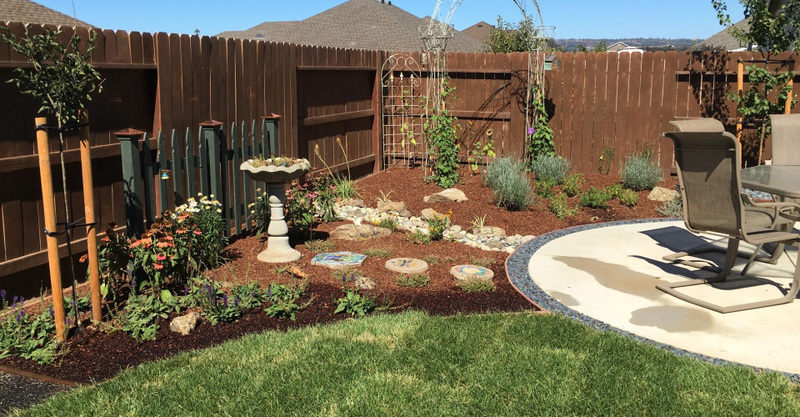 Whether your landscape needs updating, “sprucing up,” or even if it is “bare earth,” we help make your dream landscape become a reality. Tom’s background in natural science, horticulture, fine art, and construction avails a breadth of insight and skills to our clients throughout the design/build process. We specialize in developing the space outside of the residential built environment. We take an artistic and personal approach and work closely with our clients throughout the design/build process. We listen to your ideas, and ascertain what your usage needs are and how to develop your property for maximum use and enjoyment. If a drawn design is called for, we develop a scaled drawing for your site. 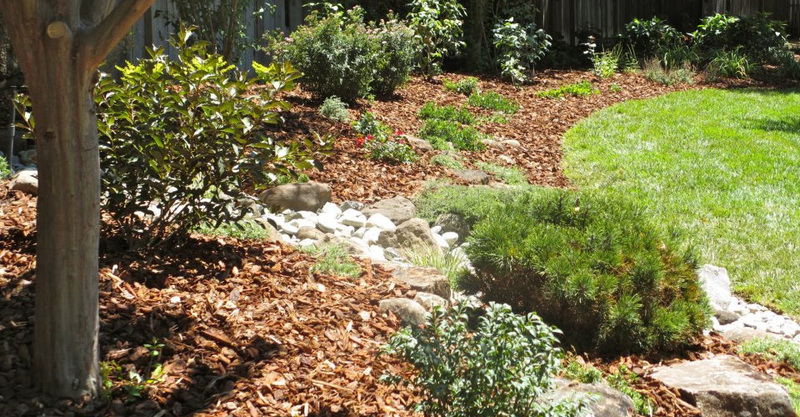 Our skilled team can enhance, or completely rebuild the landscape around your home. We pride ourselves in our craftsmanship, attention to detail, and use of high quality materials. 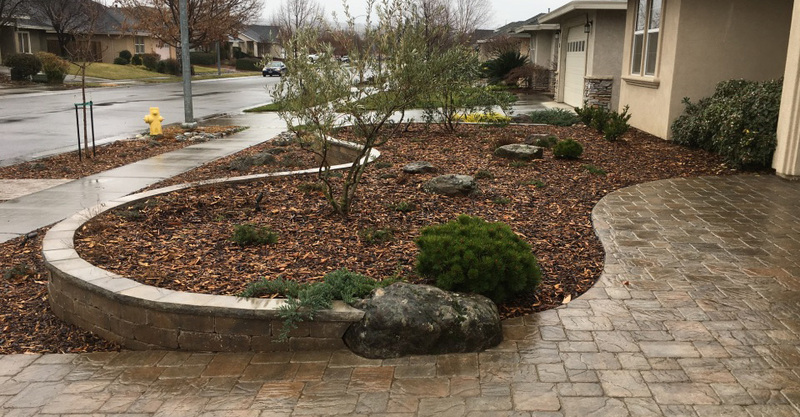 Hardscape refers to the aspects of a landscape that are built with stone, wood, metal, concrete and other building materials. These structures become the “bones” of the design and provide a backdrop for the living elements. Softscape comprises the horticultural aspects of the landscape. 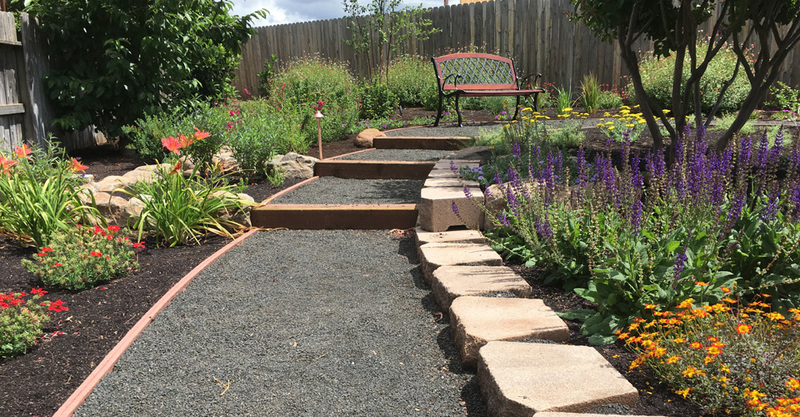 Trees, shrubs, grasses, vines and ground covers embellish the design with color, texture, fragrance, wildlife habitat, as well as shade, and natural air conditioning. A themed garden can be reminiscent of a period in history, or of a certain design vernacular. A theme can communicate a feeling, style or something special about the owner through the placement of garden art and unifying elements. The sound and movement of water is soothing, helps mask unwanted noise, and provides a home for fish. 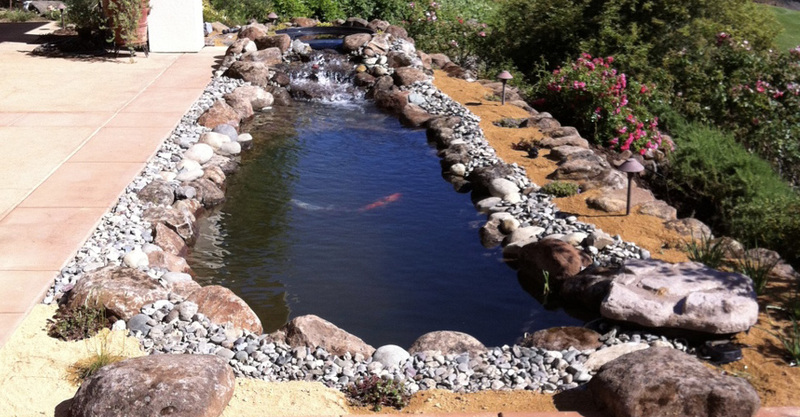 Your water feature can range from a simple fountain or "pondless" waterfall, to a Koi pond with multi-tiered waterfalls. If you build it they will come. A residential landscape can be the perfect place for wildlife to be enjoyed. Some favorites are birds, butterflies, fish, frogs and dragonflies. By providing water, food and shelter, nature will find you. 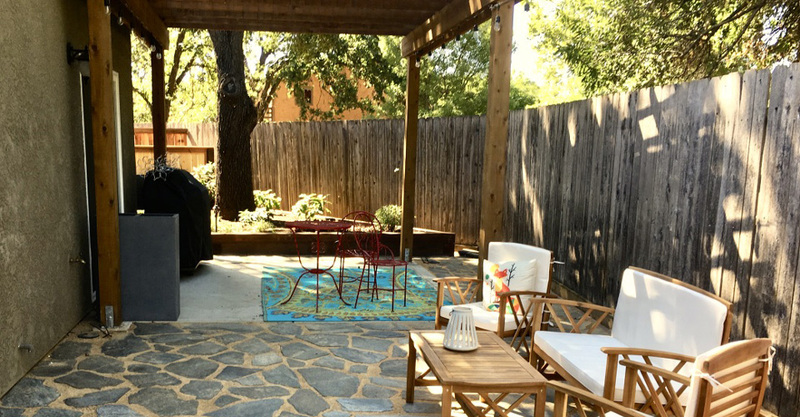 An arbor creates a defined shady room for relaxation, entertaining, or a vantage point to view your backyard environment. Fences and gates define space, direct movement and can be creative and beautiful in their own right. 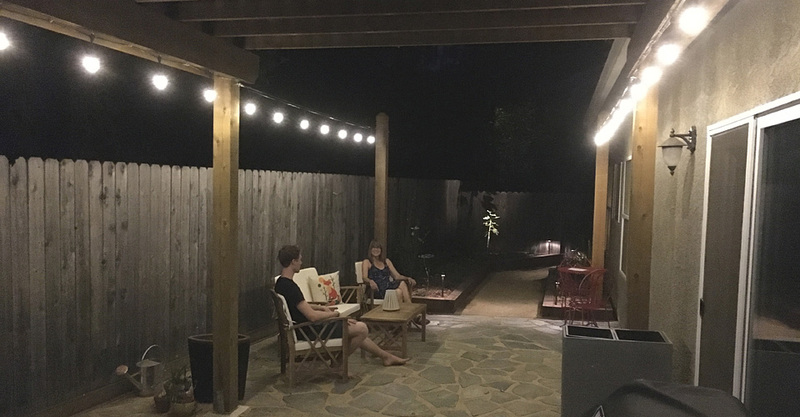 Soft pathlighting, uplighting and subtle accents create a nightime ambience that extends your outdoor enjoyment after the sun goes down. Safety and security are added benefits to a well designed lighting plan. 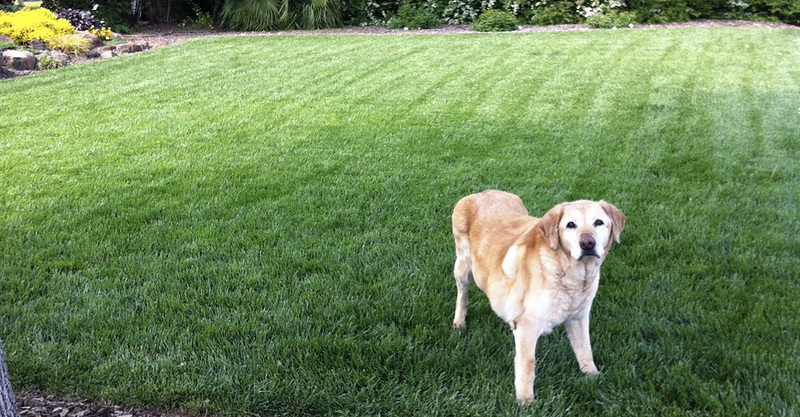 Turfgrass is a living ground cover that offers many benefits to the homeowner. A lawn is a place for recreation, entertainment and makes a yard look bigger. Turf also reduces ambient noise, and purifies the air for your family. We take an artistic and personal approach and work closely with our clients throughout the design/build process.